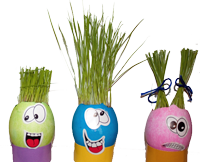 We’ve just finished Easter with its time-honored tradition of the Easter Egg Hunt; creatively decorating our eggs with a variety of dyes, decals, embellishments, and crayons; then hiding them for the children (and some adults) to find and gather into decorative baskets. Once all the eggs have been found a variety of egg dishes is sure to follow. We enjoy deviled eggs, egg salad sandwiches, and an Asian style of egg where we split the egg in half and pour a seasoning of soy sauce and sesame oil into the yolk. This year in particular, the ritual of hiding, collecting, and eating eggs reminded me of the Texas Series LLC. Each Series is like a subsidiary company of the parent company. Many of my clients use the Series LLC to hold different types of businesses or assets. For instance, the parent LLC can have multiple Series: Series A can manage and hold real property; Series B can own and rent equipment; Series C is primarily for service employees. Click Here to read our blog post about setting up a Texas Series LLC. What does this have to do with eggs? Imagine your parent LLC is your Easter basket. 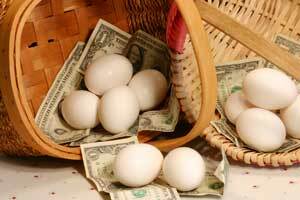 All of your eggs (your assets) are inside the basket, but each egg has its own protective shell (your Series LLCs). Just like your eggs vary by color and design, your Series LLCs vary by the assets they hold. Let’s say Joe Q. Public sues Series A and is awarded a judgment. He gets to satisfy his appetite (the judgment) by cracking open the shell on Series A and eating it. But each egg has its own shell. Cracking one egg doesn’t crack them all. The others stay safe in your basket for you to enjoy. This is a primary benefit of a Texas Series LLC – to keep your assets (eggs) separate in case of creditors or a judgment. In Texas, if the Series LLC is set up and operated properly, debts, liabilities, obligations, and expenses incurred with respect to a particular series are enforceable only against the assets of that series, and are NOT enforceable against the assets of the LLC generally or any other series! This year is a particularly important one for the Texas Series LLC. Our Texas Legislature is in session making changes to the Series LLC. Currently, there are four bills changing the laws on the Series LLC that may go into effect on September 1, 2013. Dodge Legal Group will be sending out more information through our newsletters and blog as these bills mature.